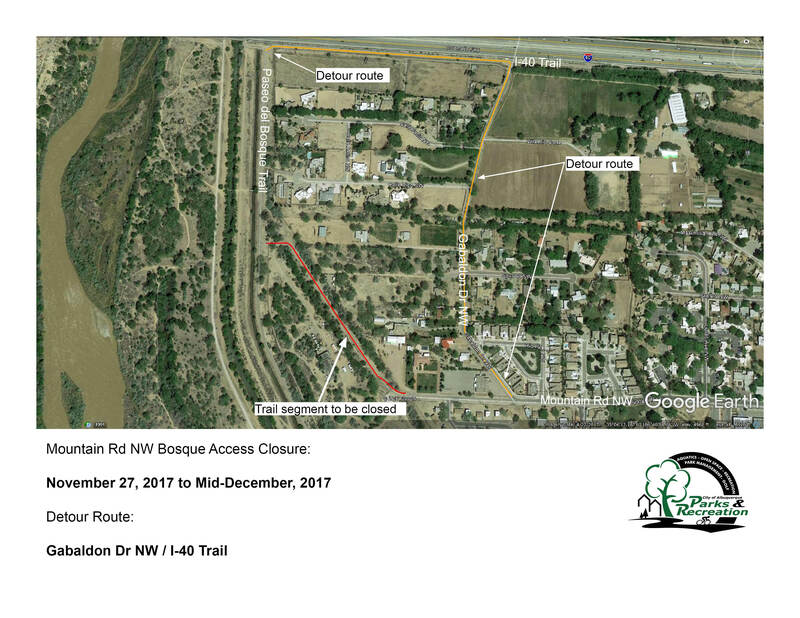 The Mountain Road Bosque Access closed beginning Nov. 27, 2017. Please use the posted detour. 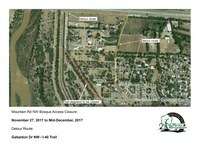 The Mountain Road Bosque Access will be closed beginning Nov. 27 through mid-December 2017. Please use the detour route provided throughout the duration of the project. The project will consist of repaving the existing trail to address surface roughness and cracks.